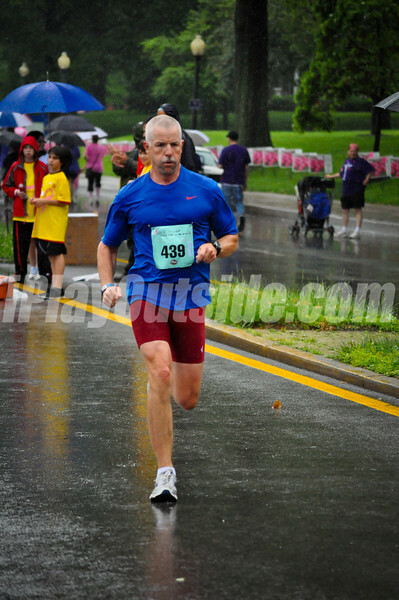 Susan G. Komen 5k Run – 2012 | Andrew N. Blackwood, Ed.D. 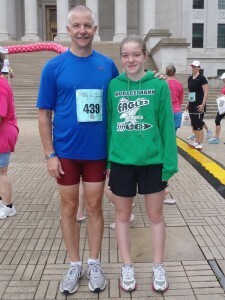 Madelene and I both ran in the Susan G. Komen 5k on May 5, 2012. Starting at the WV Capitol, the run proceeds West on Kanawha Boulevard, East, to the South Side Bridge, where competitors turn and return. 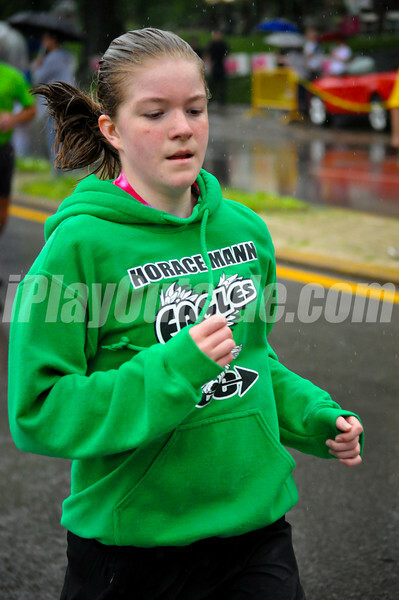 With a time of 27:09.11, Madelene finished fourth in her age group (1-13) and 222 overall. With a time of 19:49.42, I finished second in my age group (45-49) and 20th overall. Phillip Combs, a classmate of mine beginning in the second grade, finished first in the age group. This entry was posted in Competition, Running. Bookmark the permalink.